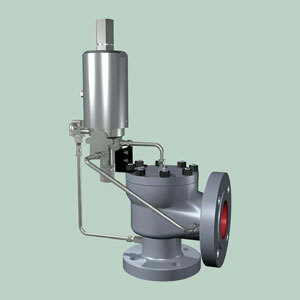 GE Consolidated, a World leader in providing safety and safety relief valve solutions, offers the 39PV and 39MV pilot valve designs for enhanced performance, capabilities and features within an economical, modular assembly. Proven concepts and principles of successful design and application experience are integrated into GE’s line of Consolidated MPVs, resulting in a new and highly reliable pilot-operated safety relief valve that provides ease of operation and maintenance. The 3900 series meets the Industry’s demand for relief valves that provide bubble-tight operation and precise opening and closing pressures, performance characteristics, safety and integrity requirements. Through its proven seat tightness to 98 percent of set pressure, and adjustable blowdown to 2 percent of set pressure, the 2900 series valve allows higher system pressures that can increase the yield of the process. GE Consolidated’s MPV is the first entirely modular pilot-operated safety relief valve design that combines pop and modulating functions within a single assembly that is suitable for incompressible and compressible fluids, including steam.